Studio Four were approached by Westbourne Southern Ltd to investigate the potential of updating an existing Planning permission for 3-bed houses to create 4-bed houses on this village site. Alterations and improvements to the original scheme were agreed with the Planning Authority and the project was drawn up to achieve Building Regulations Approval. Studio Four recommended timber-frame construction and the team worked closely to achieve the necessary acoustic and thermal standards. Solar panels, foul water treatment plant and secure by design standards were included, with the result that the houses exceeded Part L of the Building Regulations and achieved a Code for Sustainable Homes Level 3 rating. Buildability was critical as South drive is a very narrow cul-de-sac and the site access was limited. 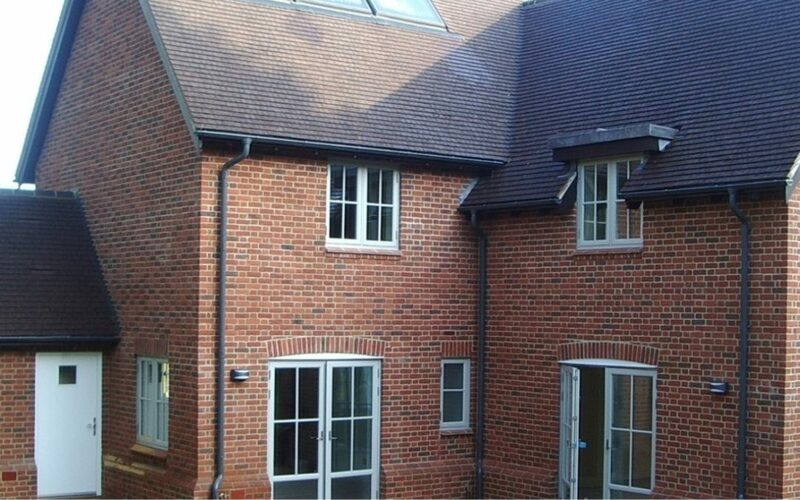 Overall the scheme resulted in three modern, sustainable homes using traditional materials, that were very popular and sold before completion in October 2008.